The design of complex systems requires many engineering specialties and software tools. OpenMETA helps you bring models and analyses together to get a better view of system performance and trade-offs. 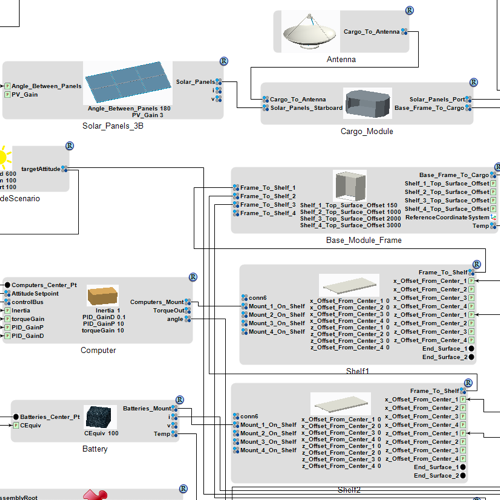 Combine OpenMETA's core capabilities to enable design knowledge capture, multidisciplinary design analysis and optimization (MDAO), set-based design, and continuous integration. OpenMETA is built to integrate with the proprietary and best-in-class analysis and design tools that you already rely on and can be extended to support more. Tutorials, documentation, and examples to support your work. You are free to modify the software as you like and to keep your modifications private. MetaMorph, Inc provides professional support and development for OpenMETA.